We're kicking off the holidays with four terrific authors today. Elizabeth Essex at 9:00 am. Each author has a giveaway for you today. so look for announcements at Noon, 3:00, 6:00 and 9:00.
for one person who is subscribed to their newsletter. Links to subscribe are below. 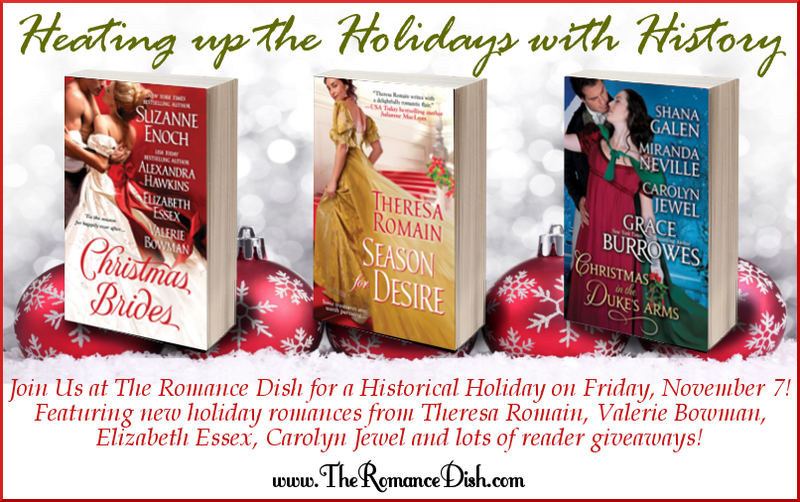 who "likes" The Romance Dish's Facebook page! Heating up the Holidays with History!